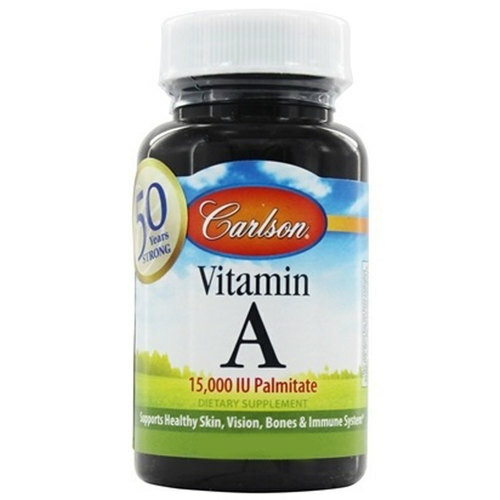 Carlson Labs Vitamin A Palmitate features an formula free of common allergens such as gluten, soy, corn and more. 警告: Do not exceed recommended dosage unless instructed by your doctor. Do not take if you are pregnant or planning to become pregnant. The recommended daily serving of this product contains more than 10,000 IU of Vitamin A from retinol. Large amounts of Vitamin A from retinol are known to cause birth defects. 注意事项: Yeast Free. Casein Free. Gluten Free. Soy Free. Sugar Free. Wheat Free. Fish Free. Shellfish Free. Preservatives Free. Corn Free. Starch Free. Artificial Dye Free. 推荐用法: Adults, take one soft gel daily at mealtime.